My daughter has an iPod touch that we gave her for her birthday a year and a half ago. It has been great! Later this week, I have a post devoted to all the benefits and fabulous apps that she uses for reading, math, telling time, etc., as well as our house rules for usage and taking care of it! 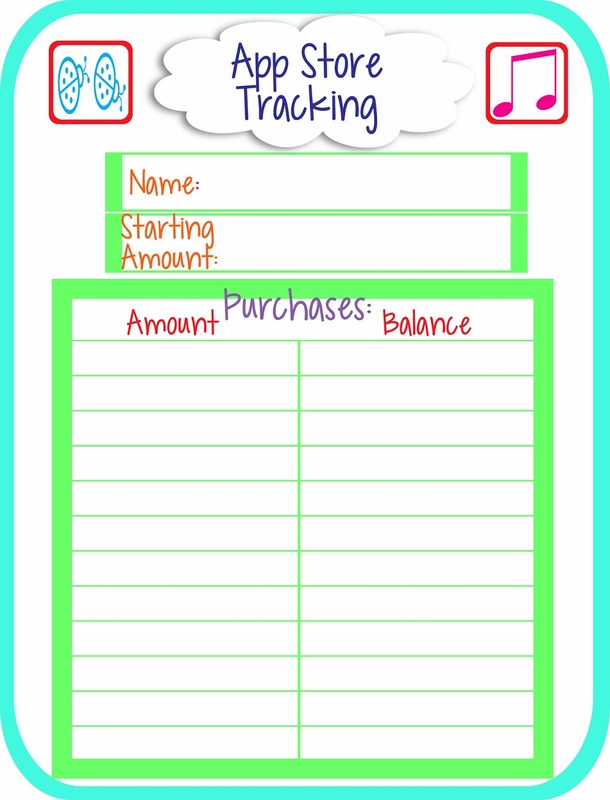 But for now, I want to share a printable App Store tracking sheet! We allow her $5.00 per month to spend on apps and music. In addition, she has received iTunes gift cards. Since we share an apple ID, the gift cards go onto my account, and we just track her purchases and the amount that she has available. 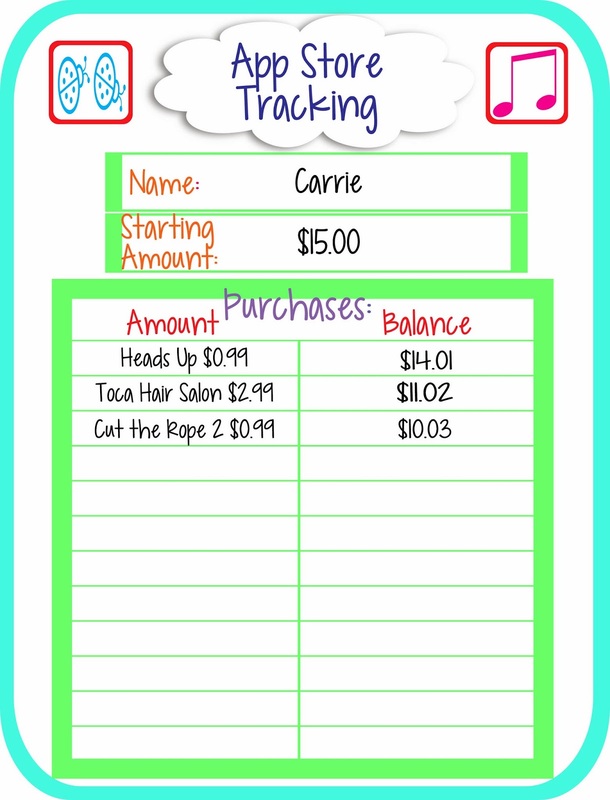 Here is an example of how to use the tracking sheet. 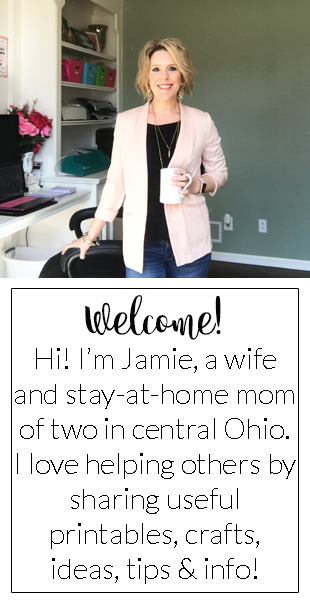 Here is a FREE printable download!